"All the forces of gravity suggest the chief customer officer (CCO) position needs to exist," says Stephen Diorio, president of IMT strategies, an e-business strategy consulting firm and META Group affiliate. "Organizations are deploying CRM strategies and technologies, embracing one-to-one marketing and building multichannel, or hybrid, selling systems. These efforts will move organizations toward a customer-centric business model. But no one's there yet." META Group Senior Research Analyst Maria Schafer agrees. Customer-centricity may be the word on every organization's lips, but few have actually followed through with significant structural or business process changes, she says. And without these changes, creating and filling the CCO role is hard to contemplate. "The CCO position simply doesn't fit into the traditional hierarchical organizational model still characteristic of most brick-and-mortar firms--it's too flexible and cross-functional. Companies will have to evolve a flatter organizational construct first." Indeed, real-world CCOs are hard to come by. E-companies seem to be pointing the way, while brick-and-mortar organizations are lagging behind. The three CCOs interviewed for this article all work for new economy firms: DigitalThink, Engage and EqualFooting.com. Not surprising, perhaps, since customer-centricity is a more pressing and tangible imperative for such firms. Plus, says Schafer, "Internet-focused organizations tend to be less bothered by vagueness--and the CCO role is inevitably somewhat vague at this point." Schafer believes that whether or not an organization actually designates a CCO, it must find ways to institutionalize the essence of the CCO function. "There has to be someone who understands and guides where the business is going in terms of customer needs, including those needs customers haven't articulated or don't yet know," she says. In certain organizations, that someone may be a chief marketing officer or, as Diorio suggests, an executive in charge of segment or customer experience management. The key will be carving out an enterprise-level role dedicated to overseeing and linking different functional groups, with the ultimate objective of maximizing customer and corporate value. Angie Kim says she and fellow EqualFooting.com co-founders Jim Fox and Aaron Martin envisioned a CCO role from the earliest days of their B2B start-up. It's a credible claim, given that their company's brand is intimately linked to the efficiency and quality of customer interaction. The trio of former McKinsey & Company executives founded B2B marketplace EqualFooting.com in June 1999 with the goal of putting small manufacturing and construction businesses on "equal footing" with larger companies. Officially launched in March 2000, the Dulles, Va.-based firm offers streamlined purchasing, financing and shipping services from provider partners via its Web site. "We've built the entire concept of our company around the needs of our small business customer base. So we felt it was critical to have someone focusing full-time on those needs," says Kim, EqualFooting.com's president and CCO. Kim also acknowledges that the CCO title sends an important message: "It signals how much we value the customer, something we want investors, partners and, of course, customers themselves to know." Valuing--and serving--the customer was a lesson Kim learned young. As a teenager, she immigrated from Korea with her parents. The family settled in Baltimore and opened a small grocery store--the first, it turned out, of a chain of seven. "From my parents, and particularly my mother, I learned the primary importance of providing excellent customer service as a loyalty marketing tool, if you will," Kim says. Thanks in part to her mother's prodigious memory for customer names, birthdays, even repetitive purchases (sort of a human precursor to Amazon's celebrated customer database), the original store flourished, and the lesson took. The customer service ethic Kim inherited from her parents shapes her priorities as CCO. She makes a point of fostering direct relationships with customers. Before Kim and fellow co-founders launched EqualFooting.com, they created a customer advisory board. Kim worked to recruit participants, taking prospects to dinner and eliciting their feedback on the company's proposed services. In addition to maintaining contact with this advisory board, Kim also communicates with each new customer, letting them know, among other things, that she is directly accessible to handle all escalated service-related issues. As CCO, Kim reports to CEO Jim Fox and EqualFooting.com's board of directors. She has three core areas of operational oversight: customer acquisition, corporate partnerships and operations and service. On the acquisition side, she works with the company's PR and marketing departments to ensure their message reflects the company's service delivery capabilities. "One of the problems the other founders and I talked about early on was the traditional separation of marketing and customer service. In most companies, this results in a major disconnect between the two: marketing promises certain things that customer service may fulfill on incorrectly or only partially." So a critical dimension of her role as CCO is to integrate marketing and operations from a management perspective. With respect to corporate partnerships, she helps develop business with associations, corporations and online companies that offer special benefits to EqualFooting.com customers, extending the dot com's own value proposition. Some of Kim's heaviest involvement to date has been within operations and service. Here, her role encompasses everything from cultivating a customer-centric culture to improving service with technology and strategic outsource relationships to overseeing the creation of sticky products. For Kim, customer-centricity hinges on the notion of customer advocacy. She has tried to instill this outlook in the 50 employees who comprise EqualFooting.com's core customer service group. Kim drives her message home with a mantra: Treat the customer the way you would treat your boss. "That means recognizing your own interests align with those of your customer, treating the customer with respect and treading cautiously when you believe a customer is mistaken," she explains. Operationally, Kim is looking to enhance her organization's current customer service capabilities. She's forged a partnership with iSeva, an outsourcer whose customer service staff handles EqualFooting.com's overflow needs. "We offer 24/7 coverage, for both phone and e-mail. iSeva is helping us manage and streamline e-mail so that we can give substantive--not just auto-generated--responses within a day or less. We're also working with iSeva to add a chat function." She dips into product development, too. "We've designed something called My Catalog. It contains everything a customer has bought, put into her shopping cart or simply expressed an interest in. It's a tool to facilitate repeat orders and help a customer rediscover products she's considered buying in the past," Kim says. Kim combines strategic planning with hands-on involvement. "You can't do the strategic stuff without the hands-on--you don't know enough to form the foundation of a strategy," she says. She spends a significant portion of her time checking up on ongoing initiatives, working with customer service and communicating with customers. "Then, in strategy sessions with the other founders, my hands-on experiences get translated into strategy." In effect, she operates as a two-way mirror by reflecting the customer's face internally and the organization's face externally. And that helps address what she sees as one of EqualFooting.com's major challenges: creating an efficient online service with an intimate feel to inspire repeat business and customer loyalty. After 16 years at Andersen Consulting, six of which he spent building the firm's CRM practice, Keith Carlson had a notion that there was a function missing in the corporate environment. Meanwhile, his future employer, DigitalThink, the San Francisco-based e-learning solutions provider, was arriving at the same idea. The meeting between the two proved auspicious. "In talking with DigitalThink prior to my coming on board, we mutually scoped out a role that would oversee sales, marketing, business development and so forth, but not from a traditional chief operating offier (COO) operational perspective," Carlson says. Rather, the position would focus on the customer experience across multiple business units. In essence, Carlson and DigitalThink decided to marry COO-like functional oversight with a new, customer-centric strategic slant. The result: Carlson joined DigitalThink in March 2000 as the company's first chief customer officer, reporting to President and CEO Pete Goettner. Carlson contends that DigitalThink was already highly customer-focused before his appointment. During his rounds of interviews with the company, he requested the opportunity to talk with customers, in part, perhaps, to see just how much proselytizing might be required. "I spoke with the top 10 customers, revenue-wise, and found that their feedback was very strongly favorable toward DigitalThink's existing solutions and service levels," he says. "It did become clear, though, that one of our challenges would be rolling out enough product to meet the needs of a rapidly expanding market." In light of this potential for growth, Carlson felt the CCO role could be essential in ensuring the company did not outpace itself, alienating customers or misreading their needs. And with the expectation of proliferating products, partnerships and service capabilities, someone with a cross-functional perspective could concentrate on the vital how of service delivery even as the organization was gearing up to innovate the what of its solution offerings further. As CCO, Carlson has two primary functions: overseeing all customer-facing units and acting as a customer advocate. In accordance with his first function, the VPs of six business units--sales, marketing, strategic alliances, market development, support and custom services business--report to him. He works daily with these VPs to grow individual areas and tackle operational challenges. Even more importantly, he helps develop cross-functional customer service processes. "I bring the customer experience under one umbrella. The great benefit of this is that we can begin to develop a seamless hand-off from marketing to sales to service and support," he says. Seamless hand-offs define a positive customer experience and become part of DigitalThink's value proposition, he believes. Underpinning and enabling these hand-offs is a common CRM infrastructure. "Siebel provides the shared technology platform that helps us to integrate our business processes," Carlson says. This technology also helps DigitalThink plan and manage customer service more proactively. "For example, our customer support people are able to predict the level of support a particular customer will need, and then track and manage the actual ongoing support that's required." Carlson's second major function, customer advocacy, finds expression in customer satisfaction programs. Leveraging Siebel, Carlson has deployed a customer satisfaction predictor. "It's a way of monitoring what's going on with each customer, allowing us to project and anticipate their needs and line up resources or manage problems appropriately," he says. Complementing this predictor tool is a measurement of actual customer satisfaction. DigitalThink has retained a company called CustomerCast to carry out a quarterly survey of its customers. "The idea is that if we've done a good job predicting satisfaction and managing against that prediction, there shouldn't be any surprises in actual satisfaction levels," Carlson explains. The kicker? Carlson recently implemented a bonus program based on these customer satisfaction ratings. All employees, not just customer-facing ones, will be affected. "It's a way of instilling customer focus across the enterprise." Carlson acts as a customer advocate in other ways, as well. He brings feedback from his frequent personal interactions with customers into the organization. And he will occasionally serve as a mediator in client accounts where service shortfalls or special needs have surfaced. Customers have seemed to grasp and receive his role well. Likewise, Carlson has encountered a high degree of receptivity within DigitalThink's business units. "Employees understand that happy customers are good for business. The challenge is to show a clear link between what I'm doing and the growth of the organization through follow-on and referral business," he says. How does being CCO compare to consulting? "My position now is my ideal job. I'm not just advising a business how to serve its customers better; I'm working to make positive things actually happen." Peter Hay's nine months with online marketing company Engage illuminate the challenges and ambiguities inherent in a role on the cutting edge of organizational change. Hay joined Andover, Mass.-based Engage in February 2000 as the firm's first CCO, having spent two months onsite as a consultant with CSC Index, the management consulting arm of Computer Sciences Corporation. He remained with Engage until mid-September, when he left as part of a 175-person staff reduction and consolidation of the organization's five divisions into two, undertaken to improve operating efficiencies. We spoke to him both during and directly after his time with the company. While still CCO, Hay discussed the particulars of his job. His mission, he said, became immediately apparent: to find ways to reconcile Engage's proliferating product silos with its goal of delivering top-notch, seamless service across all channels and customer touchpoints. The undertaking, while complex, was at least familiar. As a partner with CSC Index, Hay focused on CRM strategy deployment in financial services organizations and had gotten a taste of the practical difficulties of designing service delivery around the customer. In the case of Engage, the company's ongoing acquisition-fueled expansion both complicated and heightened the drive toward customer-centricity. Acquisition meant new product lines, each closely aligned with its own service processes. "Given how we've grown, there's an understandable reluctance to separate service from products and production hubs," said Hay. 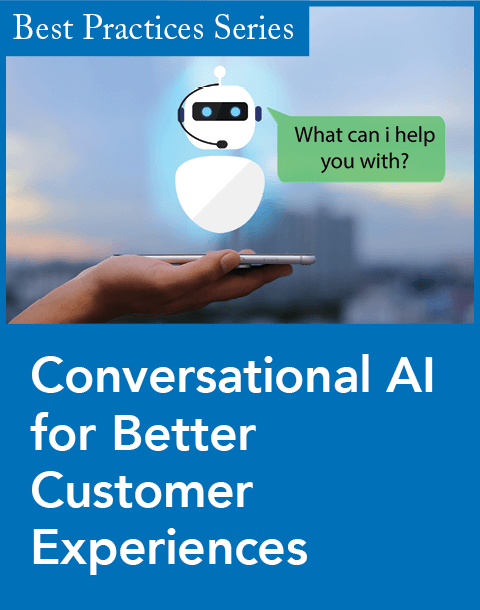 "It's my job to overcome that reluctance and enhance the ease with which customers navigate our organization--so that regardless of how they interface with Engage, customers get high-quality, consistent service tailored to their needs." Connecting people with people. Given the reality of a dispersed worldwide organization, improving internal communication was one of Hay's top priorities. Early on, he held a two-day summit with director-level employees across all major divisions to identify common challenges and stress points relating to customer service. 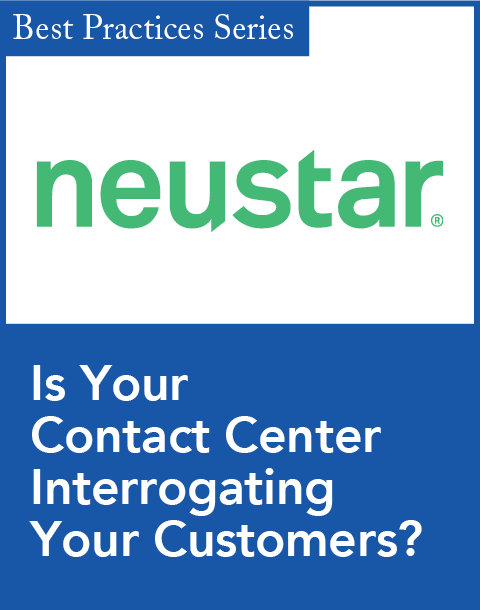 Hay also oversaw the creation of Engage Connection, a call center staffed by third-party PeopleSupport. "I saw the call center as a critical step toward streamlining our service operations, so I was very hands-on with its business justification and deployment," says Hay. Deploying a CRM solution. Hay led Engage's CRM effort and played an enterprise role setting CRM strategy and defining business needs. Operationally, he managed three different deployments of Pivotal software (in place when he began with Engage). 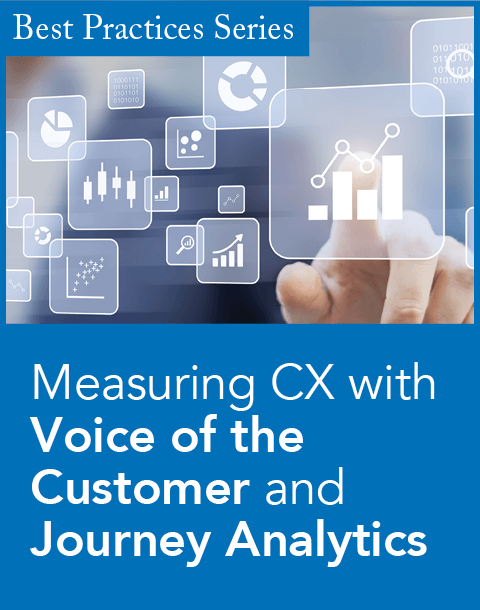 Bringing the voice of the customer into the organization. Not content to be the proxy for the customer voice, Hay made a point to invite customers into Engage to discuss their evolving needs and sources of satisfaction or dissatisfaction. "It's easy to become internally focused. Hearing the customer's voice first-hand cuts through it all in a very powerful way," he observes. Hay also began developing metrics to benchmark and track Engage's performance across the company's customer constituencies, which include marketers, ad agencies and Web publishers. During our initial conversation, Hay acknowledged that he had yet to reach out to Engage's customers unilaterally. "The time hasn't been right for me to aggressively market my role to customers, in part because customer relationships are owned within service divisions--so there are delicate ownership issues," he explained. Hay did inject himself into a small number of customer accounts where specific needs arose, functioning almost as a third-party arbitrator. Mostly, Hay focused on getting his role understood and accepted internally. As CCO, he articulated the challenge this way: "The whole CRM and CCO thing can sound irrelevant--that's a tough word--to what actually needs to be done to serve customers. Engage is a high-speed results-oriented company. People want to see what you deliver; they don't have time for stirring visionary talk about customer-centricity." Hay therefore tried to demonstrate value backed by concrete results. "I think where I've had direct touches and produced tangible benefits, such as with the call center initiative, people have understood what the CCO is about," he says. Looking back over his time with Engage, Hay sees another layer of challenges that arise from the ground-breaking nature of the CCO position and the larger organizational shifts it implies. Organizations and individual CCOs will grapple with these challenges as they clarify, and become comfortable with, the scope and substance of this new role. Bringing about significant change on an enterprise-wide level is a long-term endeavor. As such, it runs counter to the expectations of a results-now corporate culture. Hay posits what he calls an "inverse relationship" between an organization's appetite for change and its willingness to nurture change over time. Fast-paced, new economy firms are more likely to hire a CCO, but may not have the patience for long-range, accretive initiatives. More traditional companies often have a timeline to support such initiatives, but are slower to embrace the cutting edge that the CCO represents. Pioneering CCOs may find their ability to drive change further hampered by a lack of real authority. "The CCO role will have to evolve actual teeth," says Hay, echoing the observation of IMT strategies' Diorio. "To function effectively, CCOs will need line responsibility, budget resources and influence at the most senior level," Hay adds. With this will come accountability. "Right now, CCOs are not really accountable for anything other than the CRM piece of their job, which is the most tangible aspect." Weak operational power is partly a function of the CCO's anomalous position within the corporate hierarchy. "The CCO role runs horizontally across the organization. The job is as much about managing the no man's land and white space in between as anything else," says Hay. "There are two other traditionally horizontal functions: a layer of corporate infrastructure, including HR and finance, which is highly tactical, and a corporate strategy team which operates at the 60,000-foot level under the CEO's elbow." CCOs will have to find their own cross-functional niche and a comfortable altitude. Despite these challenges, Hay believes the time for the CCO is now. "With short product life-cycles and increasing commoditization of products and services, companies are searching for differentiation. How companies serve the customer is becoming a critical differentiator," he says. And someone--the CCO springs to mind--is needed to turn the customer experience into a key source of value and competitive advantage. CCOs will occupy a peculiar position for several years to come. Most will work within organizations that remain--despite lip service to the contrary--stubbornly product-focused. In a sense, their role belongs to a still-mythic company: the customer-centric firm of the future in which the customer, not the product, is the primary unit of business analysis and management. It seems likely that CCOs will both precipitate their organizations' evolution and redefine their own roles accordingly. They will bring strong operational, marketing and financial backgrounds as well as political savvy to bear on critical customer-related issues. Short term, CCOs will identify customer pain points, define and regularize service standards, help customers navigate the organization and find ways to enrich the buying experience. Over time, they will take on more subtle and complex challenges: integrating and leveraging customer information across the organization, for example, or owning and managing customer segments as units of optimization. IMT strategies' Diorio offers a more provocative thesis: The most effective CCOs will retire themselves. "The role of the CCO today is to create visibility and develop a business case for customer-centricity. In that respect, CCOs are a manifestation of an immature organization. They will therefore be successful insofar as they define the next generation of executive," he says. Our CCO interviewees might not entirely agree. But they certainly recognize they are harbingers of an organizational future just beginning to take shape.